The Microscopy Today medical journal cover is pure fantasy. I created it in Photoshop in response to the editor's request for digitally manipulated montage images built from multiple microscopy photos. The final four (2 Down Memory Lane / 2 Mobile Bay Monthly) covers showcase artwork. I do not paint. One of the paintings I photographed to illustrate that issue's Gallery made the cover: a fairly common occurance. 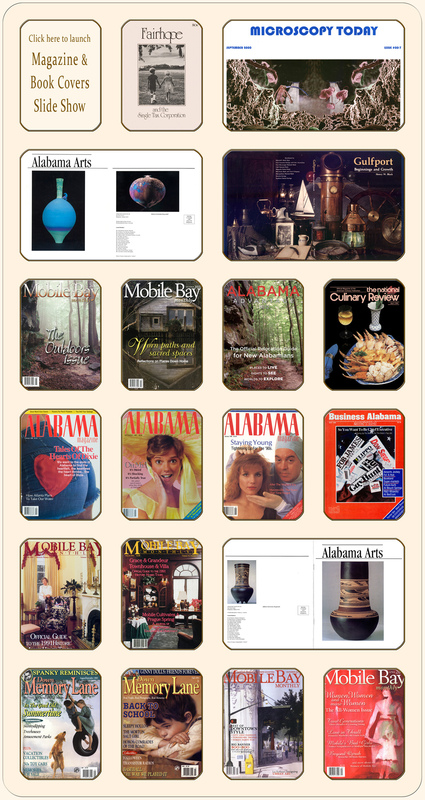 To date my Gallery articles have produced 15 covers — most recently, Mobile Bay Monthly's June 2010 issue.